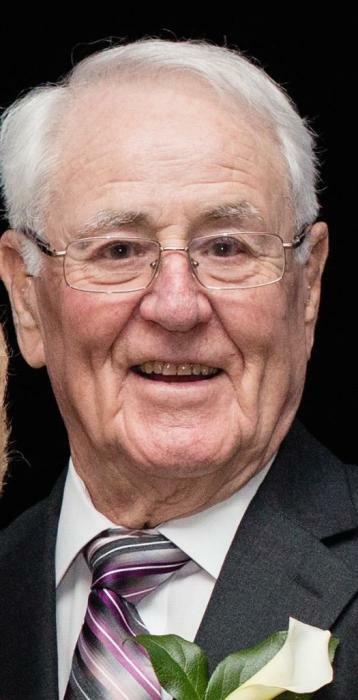 COURNOYER, ROGER E., 87, of Coventry, formerly of Shippee Ave., West Warwick, passed away peacefully, surrounded by his family on Monday, February 4, 2019. He was the devoted husband of Dolores (Pinard) Cournoyer. The couple would have celebrated 65 years married in May of this year. Born in Coventry, son of the late Geoffroy and Angelina (Picard) Cournoyer, he had been a resident of West Warwick for 65 years. Roger was instrumental in establishing and became the director of operations at General Dynamics Electric Boat at Quonset Point. He was a longtime member of the Valley Country Club, Warwick and especially love to winter with his loving wife Dolores in Venice, FL. He is survived by his children, Susan Tahakjian and her husband Martin of West Warwick, Jean Chagnon and her husband Richard of West Greenwich and Joan Harris and her husband Donald of North Kingstown. A sister Irene Vaughn and her husband Herschel. His grandchildren, Paul and his girlfriend Regan, Lee and her husband Josh, Andrew and his wife Katherine and Amy and her husband Kevin, as well as a great grandson Hayden and great granddaughter Addison. He was predeceased by two brothers the late Norman and Richard Cournoyer.